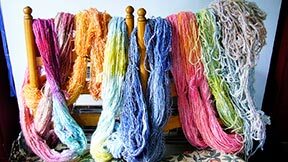 Top left shows a row of newly dyed skeins, using L-R Logwood, Onion skins and three consecutive dips of Cow parsley tops. 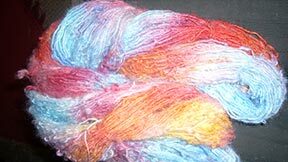 Mordanted in alum first. 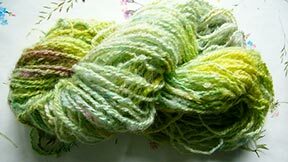 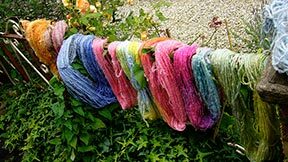 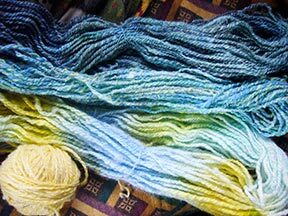 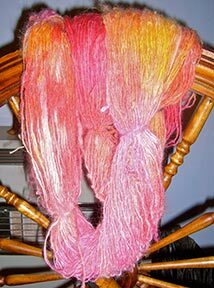 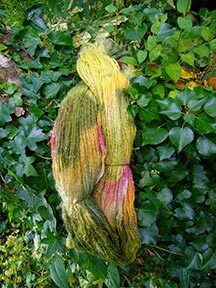 The right picture shows a row of acid dyed skeins, fixed in a microwave oven, no mordant needed, just a wet through with a slosh of white vinegar in water. 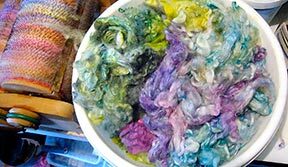 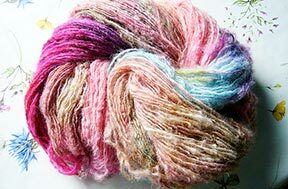 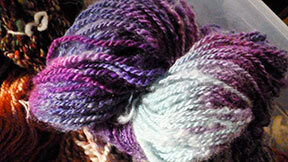 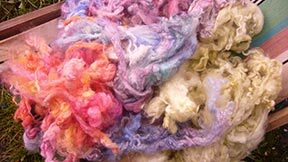 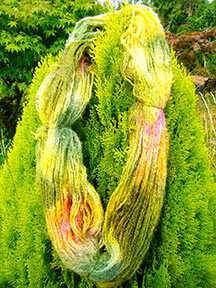 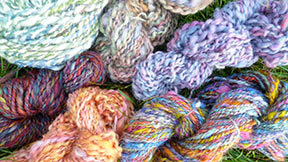 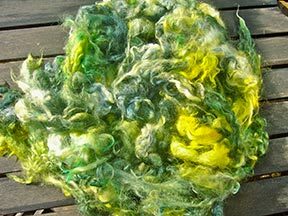 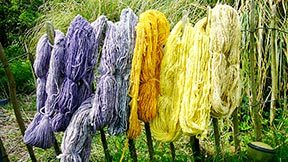 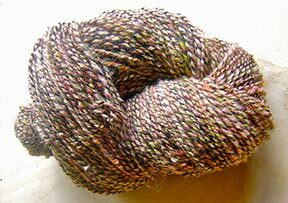 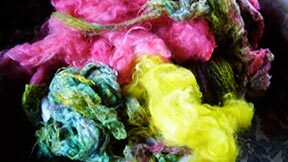 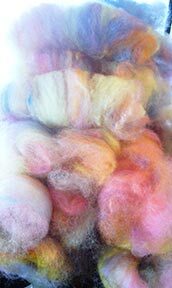 Wool is either dyed as pieces of washed fleece, then carded, or painted in the spun skein, depending on the effect needed.